Author Archives: Wuensch Construction Inc.
Let Us Turn Your Dreams into Reality. 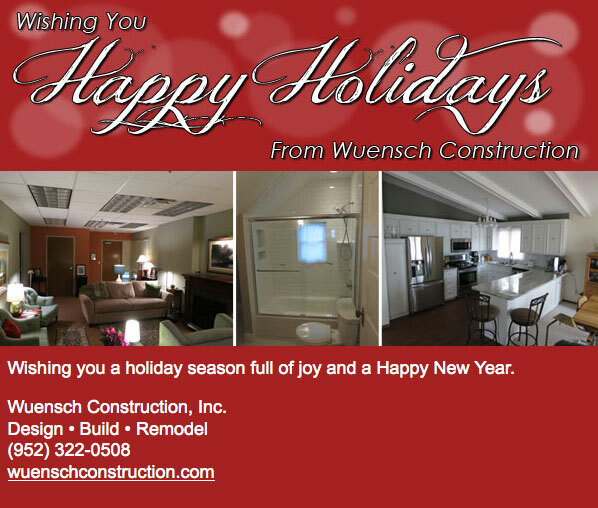 Welcome to Wuensch Construction, Inc. a full service, residential design/build company specializing for over 30 years in home remodeling and renovation. We love to take a customer's remodeling dreams and make them a reality. When Jeff Wuensch founded this company in 1980 his philosophy was very simple, give the customer the best value for their dollar from initial concept to final completion of the project. Our business approach is to build a long and trusting relationship with our customers. We meet with every potential customer face-to-face; there will be no high pressure sales associate attempting to close a sale by phone. Our #1 priority is customer satisfaction. We know we've done our job well when we have fulfilled and exceeded our customer's expectations.